Novum Testamentum Graece, Strassburg 1524. New College Library B.r.316. 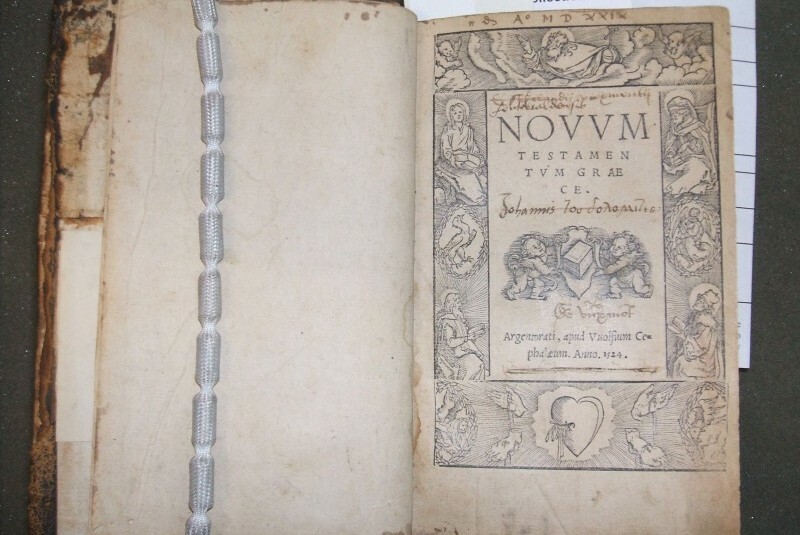 This Greek New Testament Novum Testamentum Graece, is the earliest Bible held at New College Library. It was printed in Strassburg in 1524, and in his preface the printer speaks of this edition as the first fruits of his Strassburg press. Combined with the same printer’s Greek Old Testament of 1526 it forms a complete Bible, but this New Testament appears to have been first issued separately. This New Testament was published in Strassburg during the period that Protestant reformer Martin Bucer was active there. Bucer was part of a significant group of reformers including Matthew Zell and Wolfgang Capito, and he corresponded with the theologians Martin Luther and Huldrych Zwingli. During his time in Strassburg he is known to have taught classes on books of the Bible so may have used a Greek Testament like this one. This copy has a number of manuscript inscriptions testifying to its former ownership and a printed book plate from James Walker, Christ Church. It is likely to have been donated to New College Library in the early years of its foundation. Part of the Early Bibles Collection, it was catalogued as part of the Funk Cataloguing Projects here at New College Library. 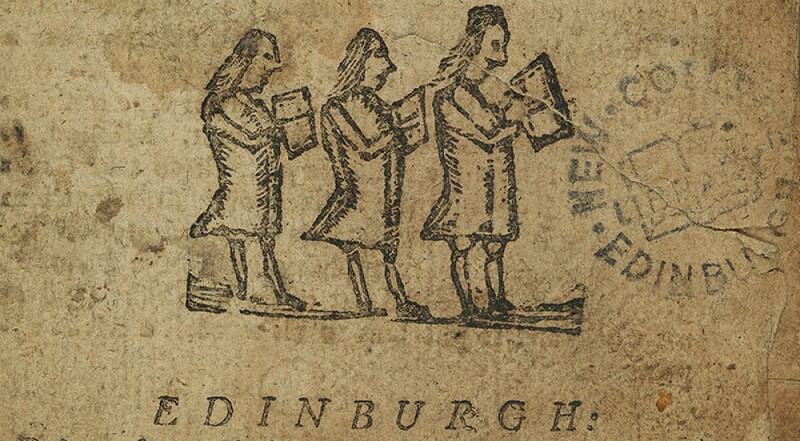 With thanks to our Rare Books cataloguer Finlay West for supplying details of this item. This entry was posted in Rare Books at New College Library and tagged Bible, Biblical Studies, Divinity, Funk, Greek, new college library, rare books, Reformation, sixteenth-century by cloverodgers. Bookmark the permalink.